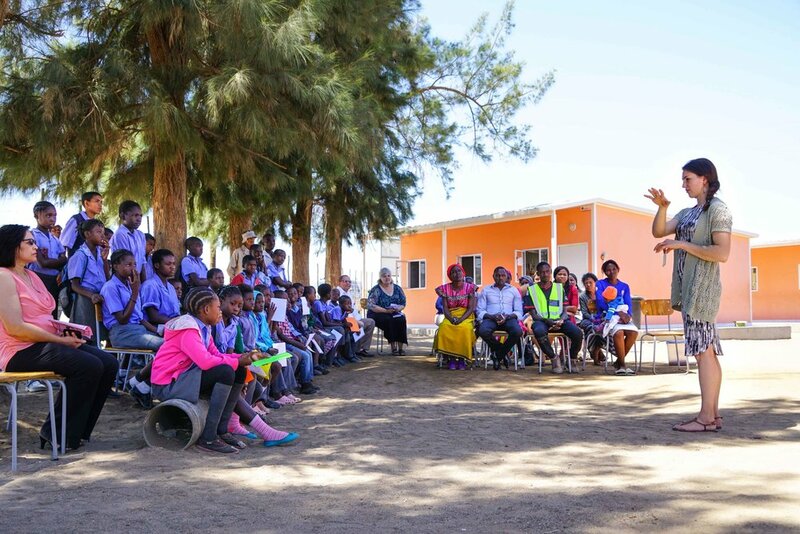 Southern Africa Education Fund celebrated the second school kit giveaway event at Aussenkehr Primary School on October 23. 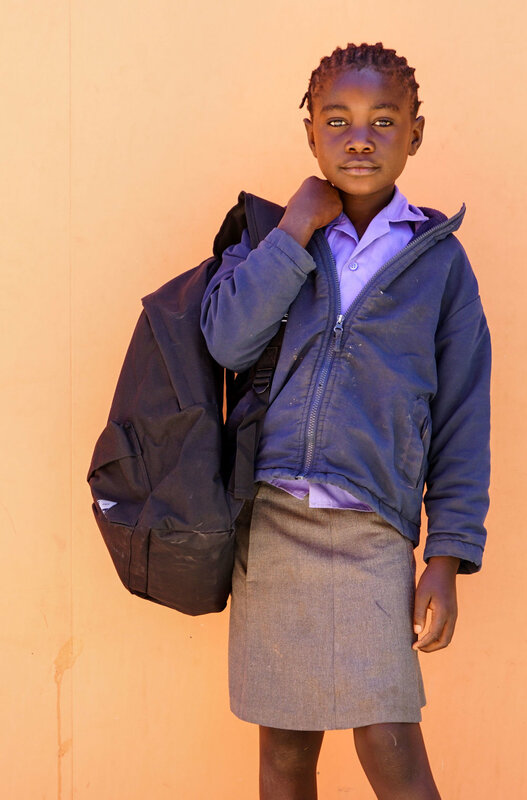 40 elementary students, aged 7-13, received a backpack filled with school supplies and a new school uniform (pants or skirt, shirt, sweater, shoes, and socks). These students are on the "orphans and vulnerable children" list, and the items provided are school necessities their families could not otherwise afford. The school kits are funded by SAEF's Birthday Pledge campaign, in which supporters can pledge their birthday by asking friends and family for contributions to SAEF in place of birthday gifts. To date, Birthday Pledges have raised $4,686 for school kits. Click here to pledge your birthday and help SAEF continue to provide school kits for children in need - it's fun, easy, and gives you a unique answer when friends ask "what are you doing for your birthday?" 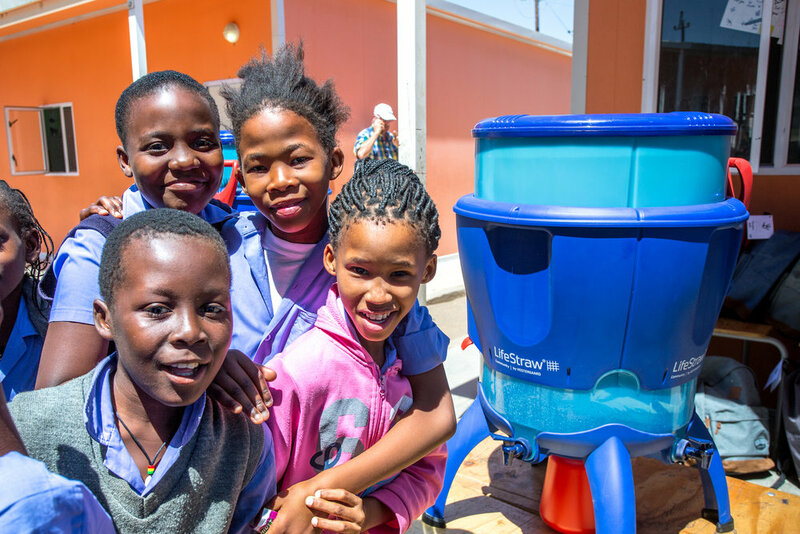 In addition to the school kits, Aussenkehr Primary School received 2 LifeStraw Community Water Filters, donated by the Sea Point Rotary Club's Safe Water Project. These easy to use, point-of-use water filters - which can last a household or community up to 3 years - have impressive impacts on communities. We're excited that the students of Aussenkehr Primary School will now have clean, safe drinking water at their school. 7th grade students are eager to participate in the daily cleaning and maintenance of the unit. Thank you Sea Point Rotary for your generous donation to these students! The event was attended by the 40 student recipients and their family members, teachers, Principal Suzie Kadhikwa, and Regional Inspector Ms. Jesmine Magerman, as well as SAEF Executive Director Paige de Kock and her family. A special thank you to Mrs. Elmare Conradie and Principal Kadhikwa for your time and effort in organizing this wonderful event.